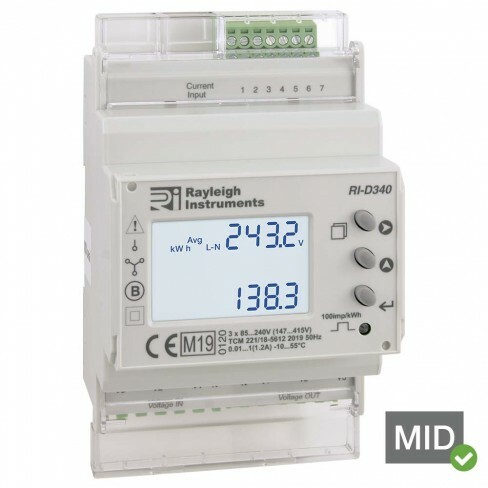 The RI-D340 series are part of the easywire® family of meters. The easywire® system has been designed to save up to 90% installation time compared to a standard meter and current transformer installation. This MID approved DIN rail mounted multifunction energy meters is suitable for monitoring energy consumption and many other electrical parameters in industrial and commercial applications. These meters may be used in three phase applications and have been certified for billing purposes.